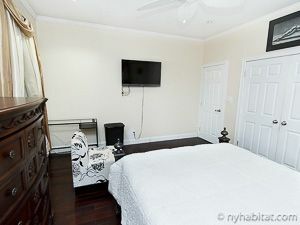 Live like a local, and with a local in this room for rent in a two bedroom apartment share in Prospect Park Lefferts Garden, Brooklyn! 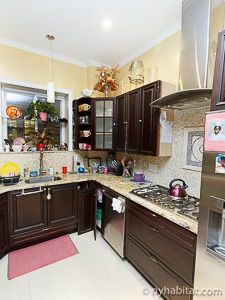 The home is just 3.5 mi (5.6km) from Brooklyn College and just five stops from downtown Manhattan on the 4 train. 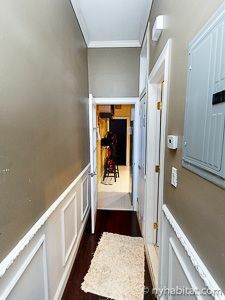 The two bedroom apartment share is located on Maple Street & Schenectady Avenue, on the top floor of a walk-up two-story townhouse (equivalent to the European 1-story). It spans approximately 1440sqft (133.7sqm). 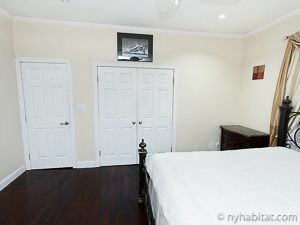 Please Note: This is a room for rent in a shared apartment. Only the bedroom will be private. All other rooms will be shared with a roommate. 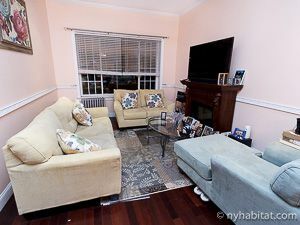 Also Note: The living room area is only available during daytime hours. 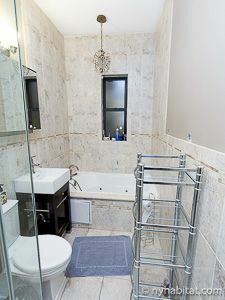 At night, the owner will put up a divider and use it as a bedroom. 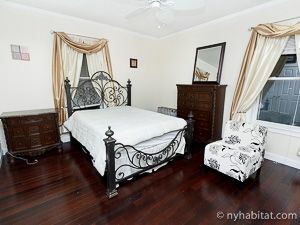 Bedroom 1 (room for rent), located on the north-end of the home, presents an elegant environment of Brazilian walnut dark wood floors and high ceilings. 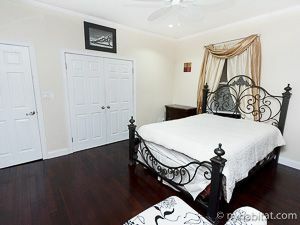 Spanning about 185sqft (17sqm), it offers two sizeable windows and a queen mattress centered atop a four-poster bed. 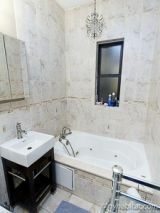 Amenities include a flat-screen television, vintage-inspired dressers, and a large closet for item storage. The shared living room area is on the south-end of the home. Charming and comfortable, it is decorated by a lovely fireplace and a modern area rug. A sofa, love seat, and lounge chair look towards a large flat-screen television that sits above the wooden fireplace mantle, and in the center of it all is a glass dining table. In one corner, tenants will find a dining area that features a hanging chandelier and a glass table that seats six guests. 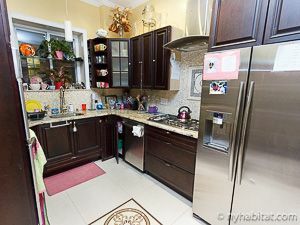 The kitchen is spacious and modern, with tiled floor, track lighting, and stainless steel appliances. 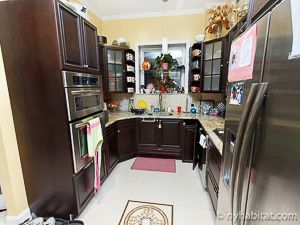 A long granite countertop allows easy meal preparation, and a dishwasher accommodates easy clean up.